There certainly will come a time when you will be thinking about trading in your current Apple Watch for cash. In fact, plenty of people are getting paid for their old electronics as long as they sell the used item to the right business. 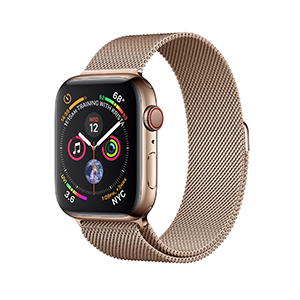 But before you can save your Apple Watch online and earn money, you should know how to identify and differentiate your Apple Watch model number, collection and color. Now tap the My Watch tab. Next tap General > About. Find the word Model in the list (scroll the page down if you can’t see it, but usually you will see the word Model displayed on the bottom of the first screen). 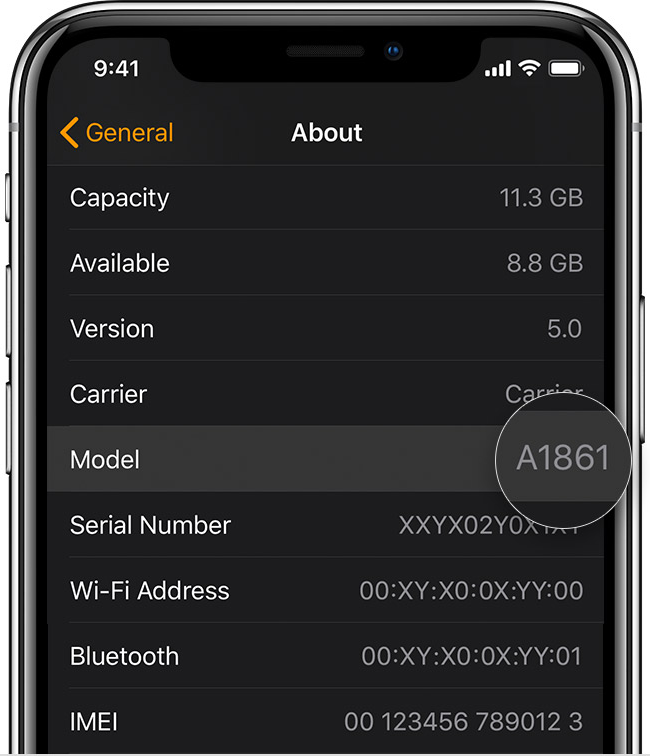 Once you see the word Model, tap it to switch between the part number and the model number, which starts with the letter A (for example A1758). After you have found the model number, you can compare the model number in the descriptions below and learn more about each series and generation. To find your case size and more information, you can check the engraving on the back of your Apple Watch. Please note that Apple Watch Series 4 collections have the same model numbers for Aluminium, Stainless Steel, Nike+ and Hermès collections. Please note that Apple Watch Series 3 collections have the same model numbers for Aluminium, Stainless Steel, Nike+, Hermès and Edition collections. Important note about Apple Watch Series 2: Note that Apple Watch Series 2 collections have the same model numbers for Aluminium, Stainless steel, Nike+, Hermès and Edition collections. White ceramic. Sapphire crystal, Retina display, ceramic back. Model number A1816: 38mm case. Model number A1817: 42mm case. Stainless steel. Hermès watch face and engraving on the back. Sapphire crystal, Retina display, ceramic back. Model number A1757: 38mm case. Model number A1758: 42mm case. Space gray, silver aluminum. Ion-X glass, Retina display, ceramic back. Space black stainless steel, stainless steel. Sapphire crystal, Retina display, ceramic back. Model number: A1757: 38mm case. Space gray, gold, rose gold, silver aluminum. Ion-X glass, Retina display, ceramic back. Model number 1758: 42mm case. Aluminum. Space gray, gold, rose gold, silver aluminum Ion-X glass, Retina display, composite back. Model number A1802: 38mm case. Model number A1803: 42mm case. Sometimes the Apple Watch 1st Generation is also called Apple Watch Original or else Apple Watch Series 0. Apple Watch 1st generation collections have the same model numbers for Apple Watch, Apple Watch Sport, Apple Watch Edition and Apple Watch Hermès collections. 18-Karat yellow gold (red, blue, or black cap). 18-Karat rose gold (white, blue, or black cap). Sapphire crystal, Retina display, ceramic back. Model number A1553: 38mm case. Model number A1554: 42mm case. Stainless steel with Hermès watch face and engraving on the back. Sapphire crystal, Retina display, ceramic back. Model number: A1554: 42mm case. Space gray, gold, rose gold, silver aluminum. Ion-X glass, Retina display, composite back. Aluminum, stainless steel. Ion-X glass, Retina display, ceramic back. Once in Settings, tap General > About and then scroll down. Once there, go to the My Watch tab. Now tap General > About on your iPhone, and you will see the serial number of your Apple Watch. On Apple Watch (1st generation), check the back of your device for the engraved serial number. On Apple Watch Series 1 and Apple Watch Series 2 (including Apple Watch Hermès and Apple Watch Nike+), remove the band from the device and then check the band slot. Sell your old Apple Watch online and save money for your new model. Get top cash at once! My Apple Watch Hermes 1st gen froze. The screen won’t change and I couldn’t reset it. I didn’t do anything, I just was wearing it, then I looked at it and the screen was like that. Nothing seems to work, and I tried pushing the home button and crown separately and together at the same time. My Apple Watch is on os 3.2.2. Besides I started to have the call flashing when i try to make a call on the watch.Could you help? Hi Donald. First, you can always leave a comment yourself (this time I posted if for you, but it’s easy). Hello! How much do u pay for Apple Watch? Feel like selling mine but don’t want to give it away for peanuts. Hi, Annette, thank you for asking. To answer your question, let me quote our FAQ: How Much Do We Pay for Apple Watch: The price depends on the condition of your Apple Watch. We accept the item no matter what quality, but some watches are like new, while others have scratches on their face. All this influences our quote, but you can be sure the price always be higher then other trade-in programs offered by our competition (with all due respect for them). Go to our Apple Watch page, and follow the instructions, the whole process is super-easy and quick. Good luck! Did you know that a domain extension .watch exists? You can use something like igotoffer.blog.watch or trade-in.watch for your stories about Apple Watch! Enjoy!